Now, before I dive in, I just want to mention, if you’re an expert, coach, service provider, or marketing agency, I consider you under the consulting umbrella. 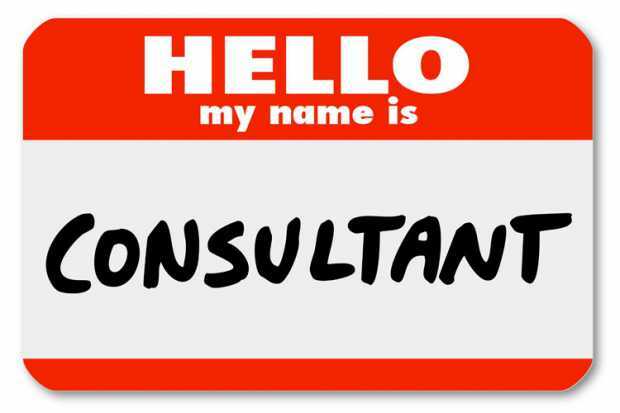 During my 3 years of consulting, my approach to nearly everything has changed since I started consulting. In this blog post, I’m going to tell you the 7 most important lessons I’ve learned in hopes you can short cut the trial and error I had to go through. You really should never charge less than $1,000, regardless if that’s a training course or a $1,000 monthly retainer for done-for-you services. It’s hard to make the numbers work otherwise. You’ll be able to scale a lot faster than if you’re trying to sell a $47 per month membership site. Am I saying it’s impossible? No, but you should at least have a core offer of over $1,000 before you try to branch out. And contrary to popular belief, you really should start your sales funnel off with a high ticket offer rather than a tripwire. It’s all about the perceived value of the offer, so instead of even attempting to sell a $47 per month membership site, increase the value of it by adding a group coaching (more interaction) aspect included with the course, for example. Boom, you’ve just changed your $47 per month membership site to a $5,000 one time payment. Strategy sessions are the name of the game. Don’t be afraid to get on the phone. It’s never been easier to schedule strategy sessions with tools like Acuity and ClickFunnels. There’s no sales medium like a phone call that has such a high conversion rate. Webinars are great, but they’re REALLY great when you combine them with an application process to qualify leads and send them to a phone call. Just don’t even think about it, strategy sessions should become an instinct. You’d be surprised, but you really can provide a lot of value in a short amount of time. Someone could only know you for a day, consume a ton of your surface level content, and be ready to work with you. But it’s way easier to sell to someone like above, than someone totally random that you cold called. The more value you provide, the more authority you have, the more you’re trusted, the higher the conversion rate — it’s simple. If you’re a consultant still trying to take on everyone, that’s a big issue. You should NOT close every strategy session. You should genuinely get an understanding on the business and see if you can really generate results for them. For example, I only work with people who sell, or want to sell, products or services over $1,000. That’s because I know I can generate results for them, but if you’re still trying to push your $47 per month membership site where 90% of the members churn within 3 months, I can’t do anything for you. So if that’s you, I will straight up tell you I can’t take you on for a client to save your time, and my time. Basically, pick a specific niche, and business model you know well, and only work with them. Dial in. This one is particularly for beginners. Often times consultants feel like they need to know everything before taking on clients. That simply just isn’t true. The only thing you need to know is enough to generate results for your clients, if your specific avenue of revenue generation is email marketing, stick to it and consult on that specific area, and let your clients know exactly what your going to be doing. The only job of a consultant is to get your clients from point A to point B.
I promise, if someone pays you $2,000 per month and you generate them $4,000 per month, they won’t complain. Don’t get me wrong, referrals are great. But it’s a golden marketing rule — never rely on one marketing channel. You need leads coming in day in, day out. Often times consultants get into the habit of only relying on referrals, and that’s just all around not good. Diversify your traffic channels, i.e. SEO (Content marketing, blogs, etc), Paid traffic (Webinar funnels, etc), Referrals, Email, and more. Just make sure you’re never relying on a single traffic channel or else your business can literally disappear over night. I repeat — NEVER stop selling. There is never a number where you should be content with, if you make $10,000 per month, then you should be shooting for $100,000 per month, and so on. I see this time and time again when a consultant finally reaches success, and they have that specific number (a normal one is $4,000 per month — full time income), hit it, then say, screw it, we’ve made it! Then shortly later their business starts dying as they lose a client (because it happens), then another one, then as soon as they know it they’re just about broke! If you become comfortable, it’s inevitable your business is going to die. You need to always be growing. Growing is good, and stagnating is very bad. There’s so many avenues you can pursue (i.e. group coaching, information products, done-for-you services, etc), and there’s so much money to be made. Considering the average growth rate of the consulting industry is approximately 3.6% per year for the last 5 years, and over $229,000,000,000 billion was made — it’s not a bad market to get into. Sure, there’s a learning curve as with anything in life, but there’s a ton of opportunity, and a ton of money to be made (and results generated for your clients — pretty darn satisfying as well). As with anything worth having, it’s not going to be easy, but if you stick at it and learn from your mistakes, there’s tons of rewards to be reaped. P.S. Do you want more traffic, leads, and high ticket sales? I can help you with that, just schedule a breakthrough strategy session here.